Woks aren't unitaskers. Beyond stir-frying, you can make soups, steamed meats or vegetables and boil pasta in the pan. Photo by cwf. You add your stock, you bring it to a simmer and you let it simmer. 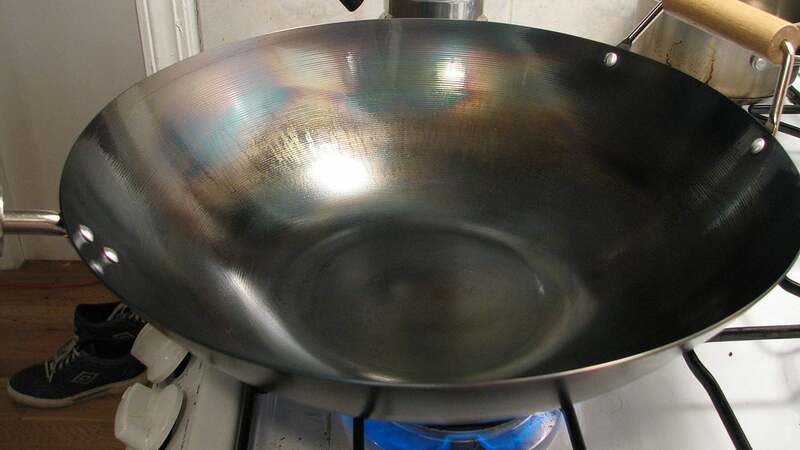 Because the top of the wok has a great surface area, it can reduce quickly for you. Because of the concave bottom, the wok is also great for frying. You'll use less oil. Maybe it's time to dust off that wok?